He was no different from someone rus.h.i.+ng to beg for beatings and abuse. Hit me! Hit me! I beg you, hit me already, please! This kind of cries played back in the heart of the young Magician a hundred of times! He really made a move! A wicked charming smile lazily bloomed in the corners of his mouth; Qi Xia slowly looked up at his nervous opponent. "Are you scared?" An idle voice overflowed from Qi Xia's mouth. The Primary Magician nodded stiffly. Qi Xia's lips slightly raised and said with an almost enticing voice, "Ah, I really like to fight the scaredy ones." His languid voice had not yet landed when an ice and snow magic sprinkled on the entire ring. In the blink of an eye, the young Magician who remained full of tensions and fear turned into a crystal-clear ice lump, standing as straight as ramrod inside the ring. "..." The people waiting for the show were speechless. "..." Shen Yanxiao was also speechless. The Qi family’s Third Young Master lazily yawned before sweeping his gaze to the dumbstruck referee standing at the side. The referee gaped his mouth and stared at the intact Qi Xia. Then looking at the s.h.i.+ning "ice sculpture" under the sun, he swallowed his saliva and said with difficulty, "Representative of Holy Roland School, Qi Xia wins!" Qi Xia, under the thrilled gazes of the crowd, leisurely walked down the ring and left the compet.i.tion area. The audience had a deep urge to flip the table. What the h.e.l.l was this! In just less than ten seconds, Qi Xia ended the game! This was duping the ma.s.ses! They wanted to complain! Although the visual impact of ice and snow magic was very shocking, the time was just too short. A lot of the ma.s.ses was still processing everything and had not managed to react yet when the battle was concluded. They did not even see the scene when Qi Xia waved his wand! "Little Xiao, you ask me that question before because of this young man?" Yun Qi narrowed his eyes at the astonis.h.i.+ng results of Qi Xia. Thinking of Shen Yanxiao's question before the start of the game, and then linking it to Qi Xia of the same school, he could be sure that the question of his own disciple was related to this young man called Qi Xia. "Well, Master, do you think he is a Great Magister?" Shen Yanxiao immediately responded without concealing it. Yun Qi thought and said, "The magic of this young man is really outstanding. Although I am not a magician, Warlocks and Magicians both originate from magic. I can feel the intense magical aura of his ice and snow magic, but I still don't think he has the power of the Great Magister. Though he is very amazing, still not to the degree that defies the natural order." Yun Qi's a.n.a.lysis was quite satisfactory. "Although he's not a Great Magister, his real strength should be close to the level of Magister. It is only a matter of time before he gets promoted to the level of Great Magister. I did not think that after those many years of withdrawing from worldly affairs, I would see the strength of such an amazing young person as soon as I came out. If I’m not guessing wrongly, after the semi-finals, he will be the one chosen in the profession of Magician. He and you will meet in the finals. He is a formidable opponent; you have to be cautious. The Magician's explosive strength coupled with this young man's ability to cast magic without chanting, if you are not careful, it is possible to fall into his trap. Once you are hit, you will absolutely be defeated in seconds. There will be no room for a counterattack." Yun Qi began to worry about Shen Yanxiao. The growth of young people today had gone far beyond his expectations. You're Read The Good for Nothing Seventh Young Lady Chapter 535 online. If you find any errors or translatation mistakes, please let us know so we can fix that as soon as possible. You're reading The Good for Nothing Seventh Young Lady by Author(s): North Night,夜北. 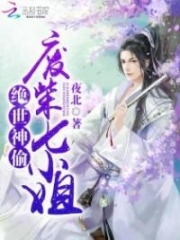 This novel has been translated and updated at LightNovelsOnl.com and has already 3013 views. And it would be great if you choose to read and follow your favorite novel on our website. We promise you that we'll bring you the latest novels, a novel list updates everyday and free. LightNovelsOnl.com is a very smart website for reading novels online, friendly on mobile. If you have any questions, please do not hesitate to contact us at [email protected] or just simply leave your comment so we'll know how to make you happy. Current Time is 26-Apr-2019 16:42:00 PM.